Builders take note: The Trump administration is now soliciting design proposals and prototypes for a roughly 2,000-mile-long wall along the border with Mexico. U.S. Customs and Border Protection published two requests for proposals late Friday, which included the specifications it expects for an American-Mexican barrier meant to deliver on President Donald Trump's promise to build a "big, beautiful wall." The agency provided 11 threshold requirements for the wall, which it says "shall be physically imposing in height." The wall needs to be 30 feet tall — although "heights of at least 18 feet may be acceptable" — and it should prevent tunneling by going at least 6 feet below ground. The wall, it adds, should be difficult for getting over and offer features that prevent "sophisticated climbing aids," such as grappling hooks and building handholds. Prototypes will also need to prove that they aren't susceptible to a "physical breach" via a "sledgehammer, car jack, pick axe, chisel, battery operated impact tools, battery operating cutting tools, Oxy/acetylene torch or other similar hand-held tools," the CBP document says. Potential contractors also need to keep an eye toward style, as the north side of the wall, or U.S.-facing side, "shall be aesthetically pleasing in color, anti-climb texture, etc., to be consistent with general surrounding environment." There are no specifications for the Mexico-facing side of the wall. The federal government expects proposals to be delivered by March 29 and will award a contract based on a 30-foot-long prototype that contractors would build in San Diego. 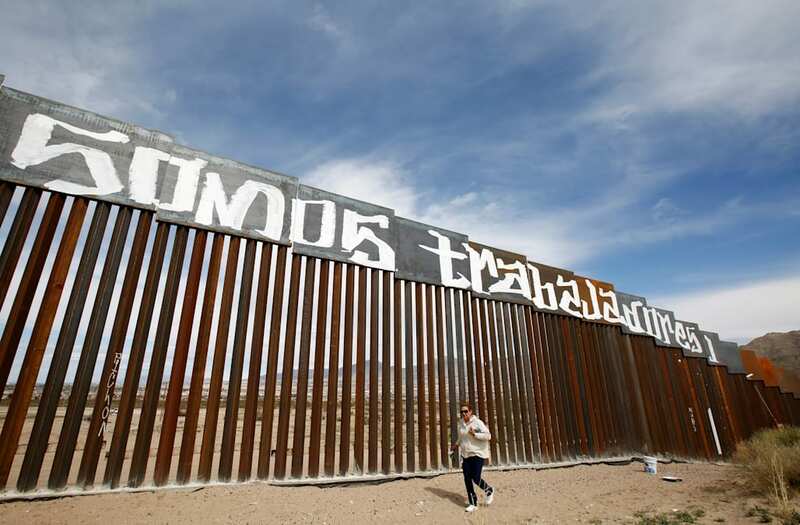 Although Trump made it a centerpiece of his presidential campaign to get the Mexican government to pay for the wall, expectations are low that the U.S.'s southern neighbor will fork over money for its construction or after it's done. Mexican President Enrique Peña Nieto has continually rejected Trump's assertion. Meanwhile, costs and the need to procure land from private citizens in the Southwest would be hurdles for the project. Trump has given a cost estimate of $12 billion, but a CNBC analysis found that it could balloon to as much as $25 billion, and that doesn't include annual maintenance, which could run as high as $750 million. Trump's budget proposal to Congress allocates $1.5 billion for the border wall this year, with another $2.6 billion reserved for the project as a down payment in the following fiscal year. More money would also go toward hiring in Homeland Security, including for 500 new border patrol agents and 20 attorneys who can help procure land. Homeland Security Secretary John Kelly told Fox News in February that he expects "the wall will be built where it's needed first, and then it will be filled in ... I really hope to have it done within the next two years."